"The Lantern, 2014-2015" by Nora Sternlof, Blaise Laramee et al. Sternlof, Nora; Laramee, Blaise; Gamber, Sophia; Travis, Kara; Bicking, Maxwell; Duffy, Emily; Sierzega, Amanda; Takita, Collin; Munera, Isabella Esser; Cox, Brian; Rus, Annie; Knowles, Dominick; Warner, Solana; Thomas, Brian; Gow, Sarah; Brewer, Alyse; Koren, Mara; Mullan, Briana; Hahn, Albert; Atkinson, Aubrey; Katz, Eliana; Hoffman, Josh; Fowlkes, Caylon; Kluchinski, Dana; Geiger, Lauren; Snead, Michele; Tran, Andrew; Gorenberg, Erica; Wilshire, Henry; Shue, Emily; Hodenfield, Rae; Bradley, Madison; Costello, Kristen; Leipold, Brian; Gilman-Forlini, Quinn; Marano, Lauren; Lobo, Mary; Robinson, Arthur; Moore, Kevin; Holmcrans, Mary A.; Cooper, Angier; and Heimbaugh, Michael, "The Lantern, 2014-2015" (2015). 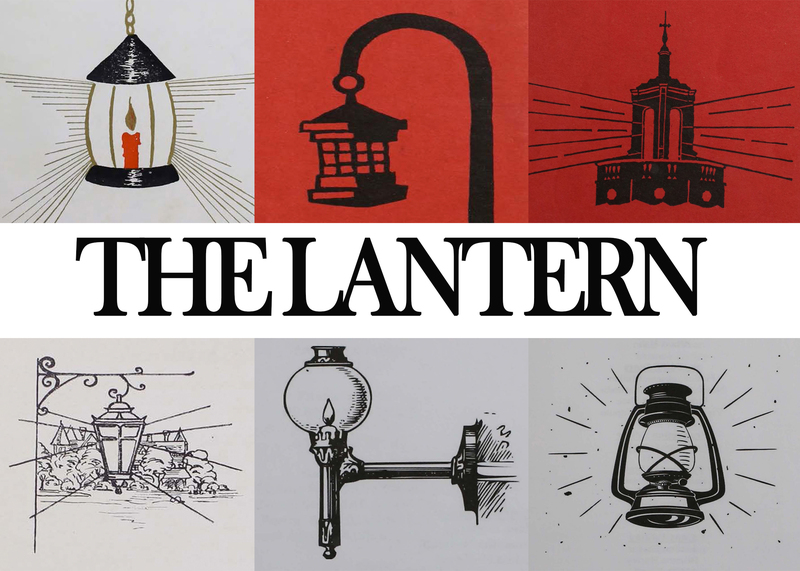 The Lantern Literary Magazines. 181.